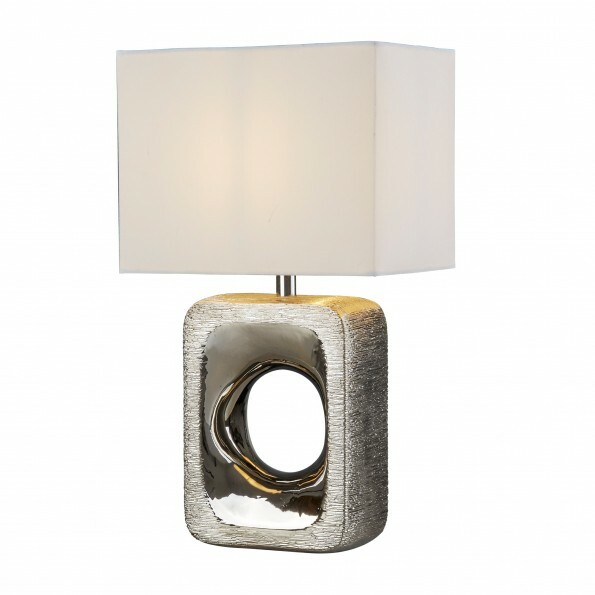 This chic table lamp features a stylish chrome body and a white fabric shade. The minimalist shade perfectly compliments the unusual design of the base. Ideal for use next to a sofa in a living room to softly brighten.